Save in the Crown Store and on ESO: Summerset during our Black Friday sales! Save big on all ESO: Summerset versions and a massive selection of in-game Crown Store items during the Black Friday sales. Buy ESO and ESO: Summerset at up to 63% off! 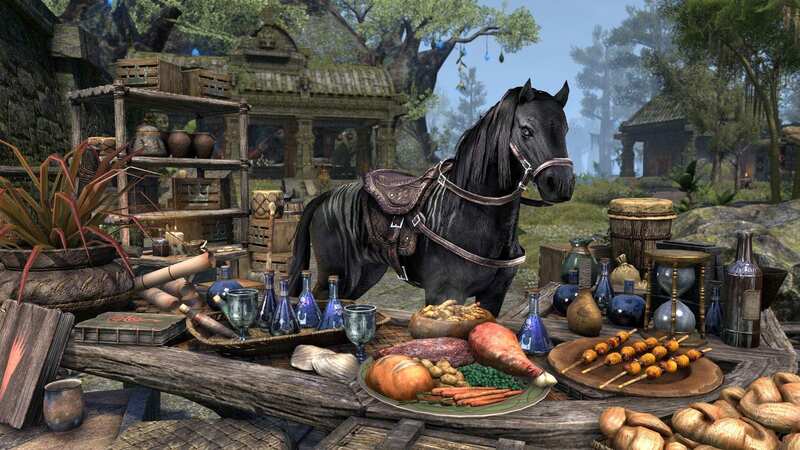 During the Black Friday (also known as Black Fredas to the people of Tamriel) sale period, you can save on The Elder Scrolls Online: Summerset (including Standard Edition, Upgrades, and the Collector’s Edition), The Elder Scrolls Online Collection, and The Elder Scrolls Online Standard Edition. If you’re yet to explore the home of the High Elves in ESO’s latest Chapter, there’s never been a better time to experience the idyllic isle of Summerset! For individual sale amounts, check our ESO Store page and your preferred retailers. See sale end dates below. In addition to the game being on sale, you can also enjoy some big savings in the in-game Crown Store during Black Friday, too! This includes the all-new Black Fredas Bundle, which contains the exclusive Black Fredas Soot Stallion mount, 10 Experience Scrolls, 10 Riding Speed Lessons, 10 Riding Capacity Lessons, 10 Fortifying Meals, 10 Soul Gems, and 50 Tri-Restoration Potions. Phew! This massive bundle will be available in the in-game Crown Store for 1900 Crowns from now until Tuesday, November 27 at 10:00AM EST. Note that the Black Fredas bundle will be limited to only one per account. In addition to the new bundle, the 15-Crate Hollowjack Crown Crate Bundle will be available 30% off in the Crown Store as an exclusive ESO Plus Deal. This deal will be available to ESO Plus Members on all platforms from now until Tuesday, November 27 at 10:00AM EST. Please note that the sale is for the unfurnished version of these homes only. The Crown Store item sales will be available until Tuesday, November 27 at 10:00AM EST, and they can be viewed on our Crown Store page. Don’t miss out! Keep an eye out for future announcements regarding ESO: Summerset on PlayStation®4 in Europe. Don’t hesitate to check out our ESO Store page for more information on what versions of the game are on sale or the Crown Store page for all the deals on our in-game items. Are you planning to make the most out of the Black Friday sale? Let us know on Twitter @TESOnline and Facebook!